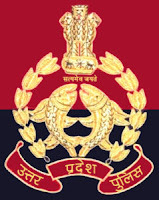 The Uttar Pradesh Police, often abbreviated as UP police, is the law enforcement agency of the Indian state of Uttar Pradesh headquartered in Allahabad. The Uttar Pradesh Police is headed by a director general of police ranked IPS officer. The current DG of Uttar Pradesh Police is Om Prakash Singh.